The skin is the largest organ of the body and acts as a protective covering with microscopic openings or sweat pores. EPIDERMIS- This the outermost layer of the skin which serves as a covering and also protects the body against germs. DERMIS- This is the inner layer of the skin which contains sweat glands, blood vessels, sweat pores and hair follicles. The sweat gland is an organ that produces salty droplets called sweats which is excreted through the sweat pores. The skin contributes greatly in what is called homeostasis (the maintenance of a fairly constant internal environment) through the excretion of waste products derived from the break down of Proteins, Fats, and Carbohydrates. And also keeping the body's salt and water balance under control. In an inadequate water supply to the body, the skin establishes water conservation. 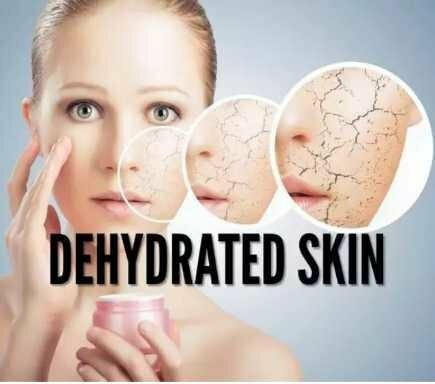 When the body is dehydrated the skin use up the water being reserved without replacement which eventually results to shineless skin. The consequences is that the skin loses water and becomes dry which also leads to less blood circulation to the skin to bring out the healthy colour it should have. To promote a luster and healthy skin sufficient water consumption is essential. The key to a healthy skin is drinking good quality of pure water daily. It produces a potent result than any other moisturizing cream one can afford in the market. 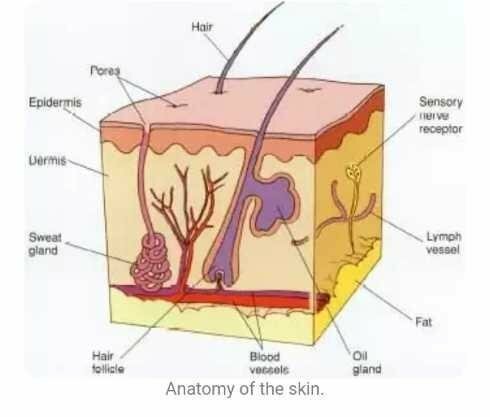 The skin houses every other working organ inside the body. And as such, its cells need water all the time to carry out this activity. The rate of skin repair decreases when the skin lacks water or inadequate water supply. This is one of the causes of young women with their skin looking aged than their years. Unlike men which have coarser skin than women, which is why their skin is asymptomatic of dehydration. The damage is there but not readily as women's skin. Cherish the house (SKIN) that houses your vital documents (ORGANS) by paying proper attention to it (ADEQUATE GOOD WATER INTAKE). Watch it crumble and lose everything (BOTH THE SKIN AND INNER ORGANS).